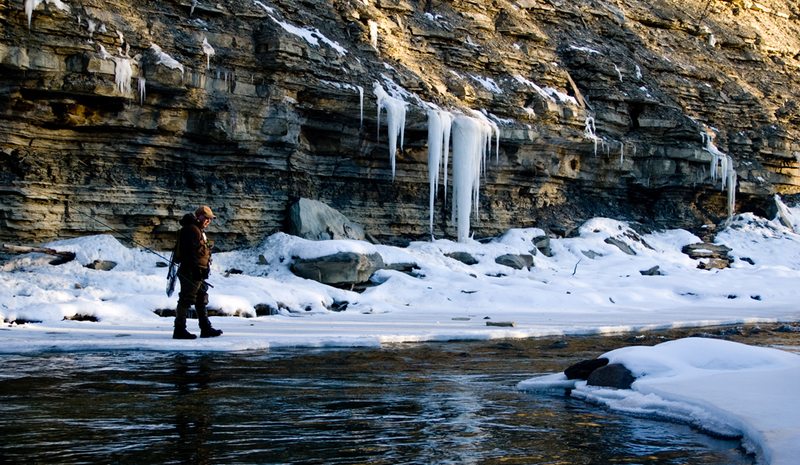 Fly fishing in Winter can be a daunting thing to think about. Snow. Frigid temps. Freezing water. It all adds up to what might seem like time that is better spent indoors next to a warm fire. 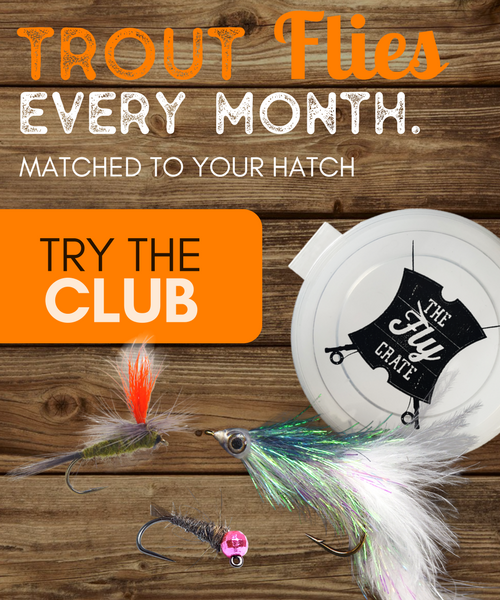 Don’t be too quick to judge these cold Winter days of fly fishing though and let’s find out how to catch trout in Winter. That’s not to say you can’t have some amazing days fly fishing in Winter. The key here is that you need to be prepared and have your expectations in check. On a typical Winter fly fishing day you’re not going to run into large pods of fish feeding on the surface. You’re also not going to run into trout that are very active at all and most likely won’t see any of those fish chasing down streamers. Cold Winter temps slow things down overall. The best mindset to have is heading out on the water with the idea that you’ll catch just one fish. I know that might not seem like much, but I’m sure that fish will still be a rewarding experience. Then if you end up catching more than one, you’ll feel like you’ve had the best day ever on the water. There are two main things to keep in mind when figuring out how to catch trout in Winter. Those are slowing yourself down and choosing the best days possible to head out on the water. Unless your fishing spring creeks or tailwaters with fairly consistent temperatures, you don’t really want to venture out on the water in super freezing temps. 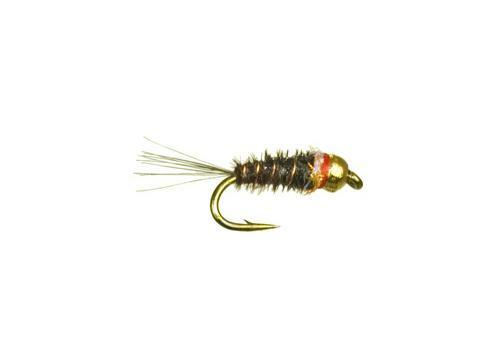 It’s going to be bitter cold for you and it’s going to slow down the fish even more, making them extremely sluggish. A good rule of thumb is to look for warming trends in the weather. If you see a day that is in the twenties to low to mid thirties, that would be a good day to head out on the water. As for slowing yourself down, this pertains a lot to the type of fishing you’re going to be doing. 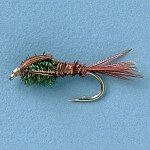 Winter fly fishing for trout is going to be primarily a nymphing game. 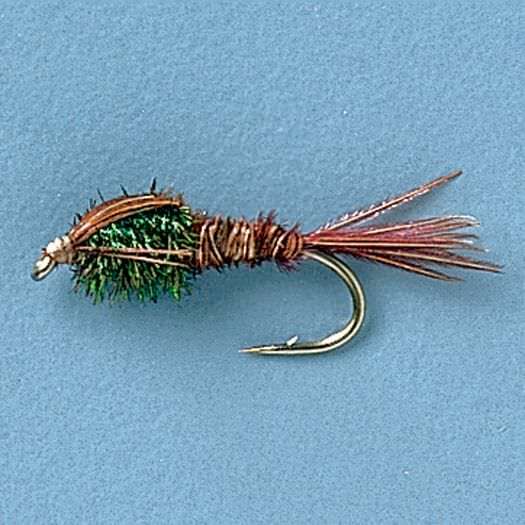 Your best bet is not to try and match any type of insect, but go with a more general pattern, such as a Hare’s Ear, Pheasant Tail, Copper John, or Scud. 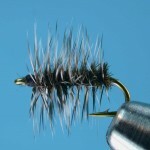 I’ve even had great success with one of my favorite patterns that adds a mix of generalist and attraction, the Frenchie. 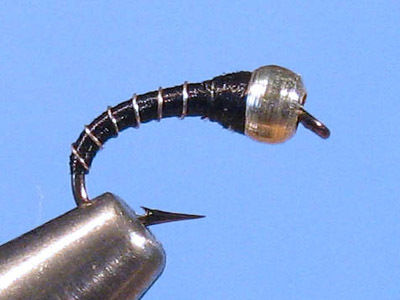 Also, don’t forget to keep a few Zebra Midge patterns handy as well. 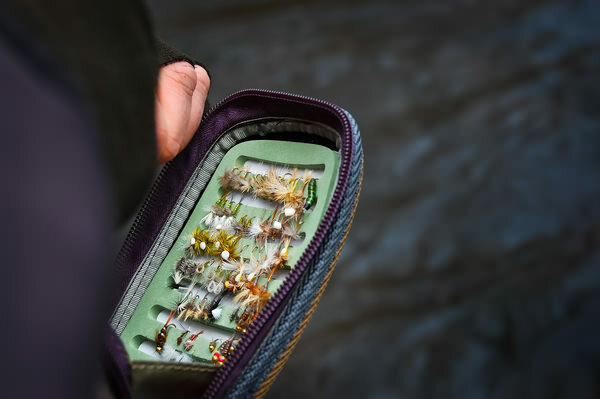 With the trout being slowed down and not aggressively feeding, this is a good time to set up a two-fly rig and increase the odds that a fish will see something it likes. Where are you going to fish though? 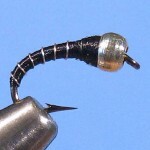 Winter trout tend to hold mostly in long runs, deep pools, and bases of waterfall type areas. These areas allow the trout to expend less energy and just have food slowly float to them. What you want to do is work these areas slowly. While during Summer months you may have drifted through these areas once or twice and moved on, you’ll want to spend more time here. 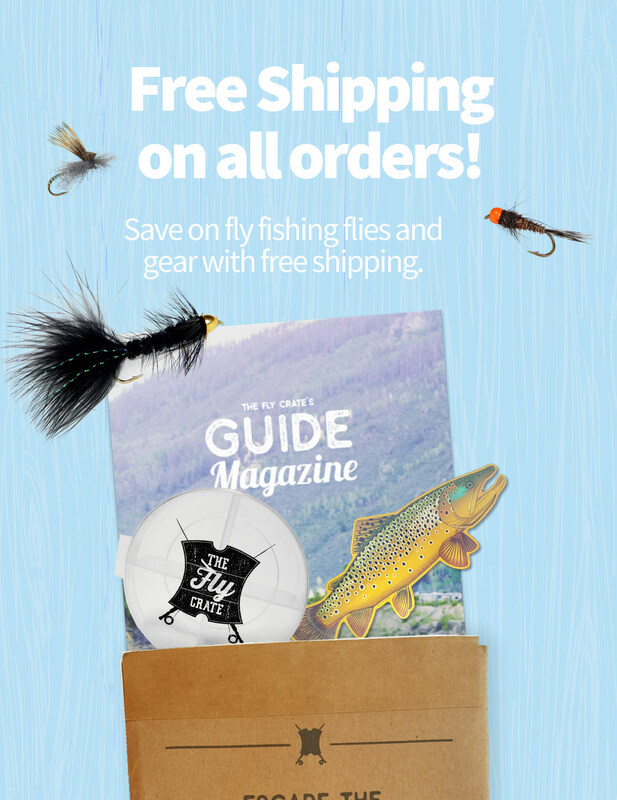 Drifting your flies through these spots 20 or so times wouldn’t be unheard of. Remember, these fish are sluggish and it may take some coaxing before they take anything you offer. While Winter is primarily a nymphing season, do keep your eyes open for the occasional surface feeding trout. 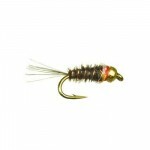 Winter is a great time for midges. 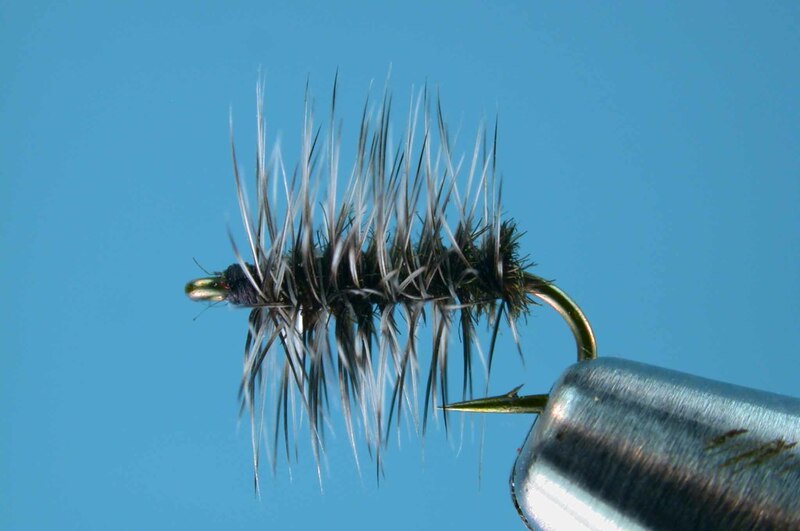 Keeping a few dry fly midge patterns is a great option to use to catch trout in Winter. A pattern like the Griffith’s Gnat has been phenomenal in the past for me when I’ve stumbled on a few Winter rising trout. Again, keep in mind that they are still sluggish fish, so you may need to make a subtle presentation and give them a few drifts before moving on or switching things up. Learning how to catch trout in Winter can be frustrating, yet very rewarding. One last thing not to overlook during these cold months is to prepare yourself for the cold. Make sure you keep warm and do everything you can to stay dry. Small leaks in waders or an unexpected dunk in the water due to a slippery stream can ruin your day when it’s twenty degrees outside. Put on that warm hat, coat and gloves and make sure you enjoy this time on the water.